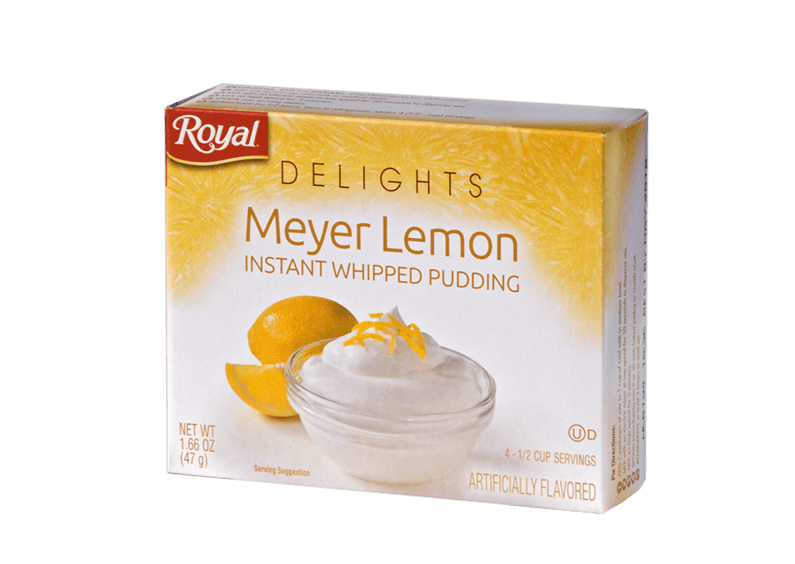 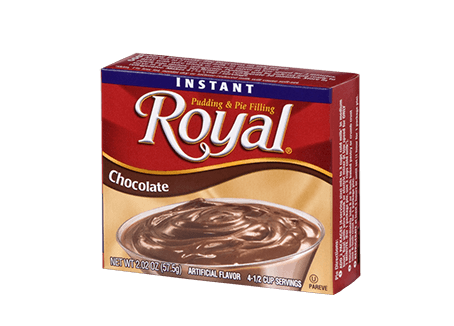 A twist of refreshing citrus flavor blended into each silky mouthful makes Royal Delights Meyer Lemon Instant Pudding an instant hit with dessert lovers everywhere! 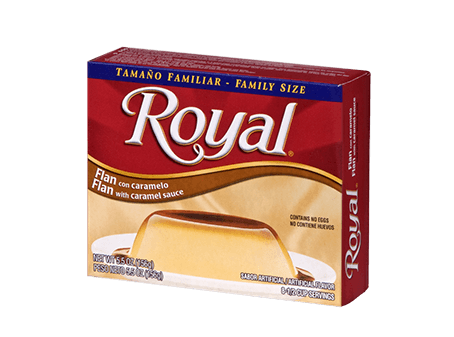 Fluffy yet smooth, tangy yet sweet, this divine treat offers a stimulating swirl of gratifying combinations. 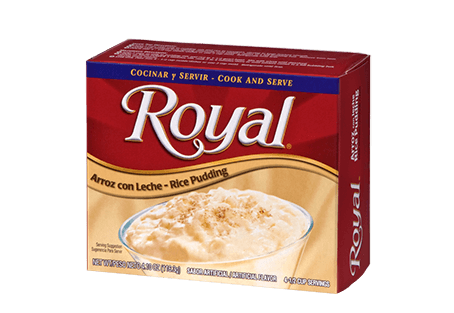 SUGAR, PALM KERNEL OIL, CORN SYRUP SOLIDS, NATURAL FLAVOR, MODIFIED FOOD STARCH, PROPYLENE GLYCOL MONOSTEARATE, SODIUM CASEINATE (CONTAINS MILK), ACETYLATED MONOGLYCERIDES, CONTAINS 2% OR LESS OF THE FOLLOWING: TETRASODIUM PYROPHOSPHATE, MONO AND DIGLYCERIDES, MICROCRYSTALLINE CELLULOSE, SODIUM CARBOXYMETHYL CELLULOSE.